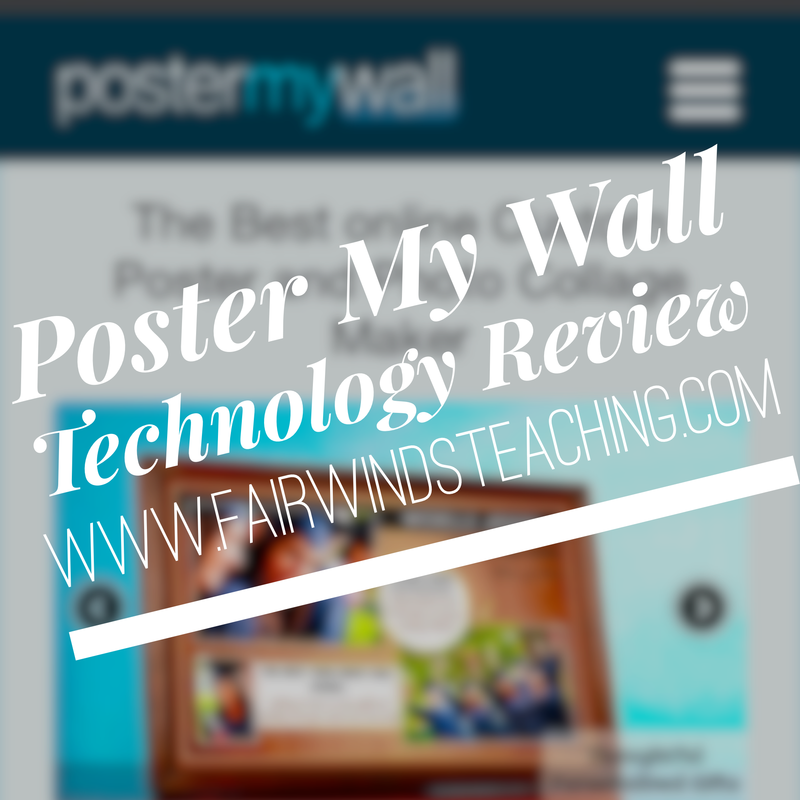 Check out this new site I found called Poster My Wall. 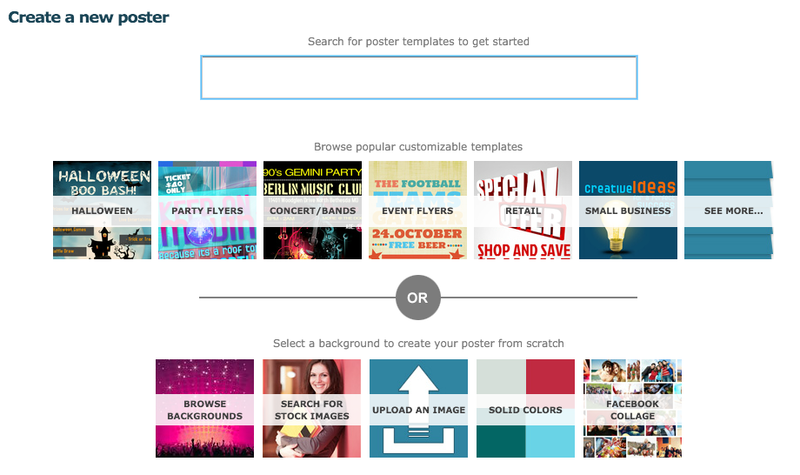 It is a site that has customizable poster templates and free downloads. 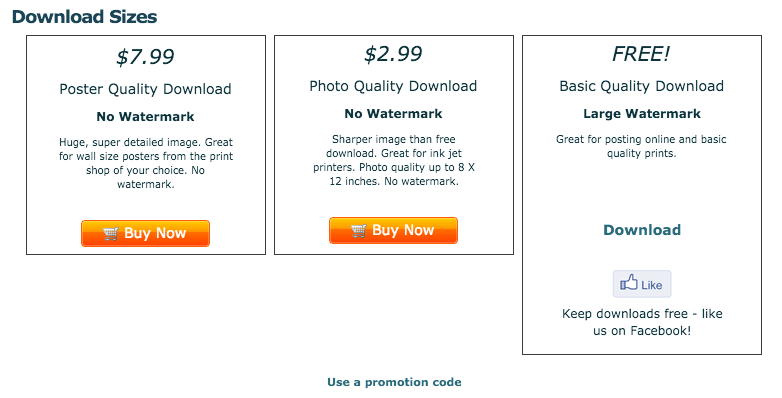 You also have the option of upgrading to a poster quality print ($7.99) or a photo quality download ($2.99). 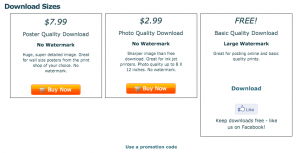 The free downloads are great for online advertising and has a watermark. At school I like to create nice and neat anchor charts for the classroom, create flyers for events and newsletters for online publication. 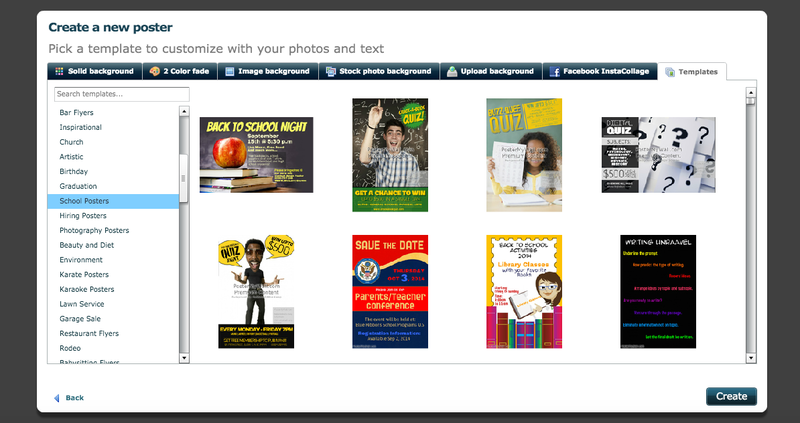 A nice bonus is that they have a school posters sections with free templates to start with. You have the options of starting from scratch or using their templates. They have a huge collection of backgrounds with many different artistic styles and themes. 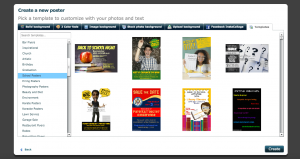 They also have photo editing tools such as cropping with shapes, and color effects. 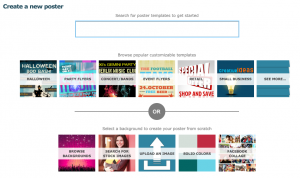 Choose from amazing fonts and font effects and thousands of clip art or stock photo options. Check it there site and let me know what your favorite features are.